We’d love your help. Let us know what’s wrong with this preview of Dyed Souls by Gary Santorella. Set in the 1980’s, Dyed Souls follows the life of 13-year-old Charlie; an intelligent, troubled teen, taken from his grandparents by his drug addicted mother, only to end up at Hawthorne Residential Treatment Village. There he ponders Darwin, Socrates, and Plato, and unexpectedly falls in love with a girl named Margo. When she breaks his heart, Charlie runs away, beginning a new journey that will leave him shattered before he finally makes it to Virginia. Back with his grandparents, the return of his mother forces him to learn a bitter truth that changes his life forever. To ask other readers questions about Dyed Souls, please sign up. This is a marvellously written story of a young man called Charlie. He had to go to the Hawthorne Residential Treatment Centre for troubled young people. Charlie is very intelligent and reads constantly, this makes him different amongst his peers. His drug addicted mother, tends to treat him badly as though she feels he is to blame somehow for her situation….but he’s very close to his grandparents.. This story tells of Charlie’s life at Hawthorne, there are many incidents, even Charlie fighting wit This is a marvellously written story of a young man called Charlie. This story tells of Charlie’s life at Hawthorne, there are many incidents, even Charlie fighting with another child. But then he meets Margo, a pretty girl he falls in love with and he feels a happiness he hasn’t known before…..but will this end well? This is a coming of age story which is wonderfully written, heartbreakingly sad at times but a compelling read…. Dyed Souls was nothing like I expected. With that being said, the book was amazing!! Charlie was a character that I feel in love with, especially because he needed that love. The entire book he was trying to fit in and find himself, yet he was always the odd boy it seemed. But, this could also be because of his lack of self-confidence about himself, especially his hands. Charlie’s mother was never the hero in this story, and from the beginning we can tell that she is in a lot of pain, and she te Dyed Souls was nothing like I expected. With that being said, the book was amazing!! Charlie was a character that I feel in love with, especially because he needed that love. The entire book he was trying to fit in and find himself, yet he was always the odd boy it seemed. But, this could also be because of his lack of self-confidence about himself, especially his hands. Charlie’s mother was never the hero in this story, and from the beginning we can tell that she is in a lot of pain, and she tends to take out a lot of that pain on him. It makes the reader want to know why she is so upset at him. It makes the reader want to know why he has to endure where he lives and the pain that she has put him through by stripping him away from everything he knows. It is difficult growing up anywhere, anytime. In Santorella’s minutely observed and dynamically written novel, it is nearly impossible for Charles. The expectations and behaviours in 1980s California were difficult to cope with for anyone who was different, and we discover that in certain ways, even among a challenging group of young people, Charles is very different as the novel begins. A tough but sometimes touching account of life in an ill assorted group as adolescence, abandonment and attit It is difficult growing up anywhere, anytime. In Santorella’s minutely observed and dynamically written novel, it is nearly impossible for Charles. The expectations and behaviours in 1980s California were difficult to cope with for anyone who was different, and we discover that in certain ways, even among a challenging group of young people, Charles is very different as the novel begins. A tough but sometimes touching account of life in an ill assorted group as adolescence, abandonment and attitudes all make life difficult, and this novel is about the survival of the individual by acts of bravery. While the major players are young adults, this is a novel where everyone will recognise the troubles of growing up, and I was interested to receive a copy to read and review. The book opens with Charles being returned to the Hawthorne Residential Treatment Village early from a weekend pass. As his mother drives him, the reader learns that she is not a loving and concerned parent, but has always been moving on, smoking heavily and drinking, having many ill advised relationships and probably earning money from prostitution. She has been inconsistent in her relationship with her only child, at one point leaving him with her parents for some time, then just as suddenly tearing him away. She flirts with Ted, one of the staff, not really explaining why she has brought Charles back early. He finds this painful, even shaming as it suggests that he is not wanted publicly. We discover that he is considered a loner, preferring to spend his time reading intellectual books and pondering the mysteries of life inspired by his grandfather. There is a conversation that is given verbatim when he and his grandfather discuss the origins of life, the possibility of God and look at the stars. Charles is an intelligent young man who has ended up in an institution for disturbed children and those with dysfunctional families, allocated carers who vary alarmingly in their attitudes, in a system which demands certain behaviour. Charles first person narrative reflects his struggles to come to terms with his lot; as he overhears what the staff think about him and the other young people, as he escapes at night for a few hours alone, as he uses his wit to bend the rules. He develops a relationships with others as he realises that he is not alone in suffering, but always with him is a desperate urge to return to his grandparents, to return to the only reliable home and relationship he has ever known. This is a thoughtful and sometimes brutal novel as Charles struggles not only to survive, but discover his identity in a time and place which seems to oppose him. He works the system, striving to meet the demands of a world where he appears to be stuck indefinitely. He can be obsessive over such things as meals, but has flashes of inspiration and bravery. He feels a guilty responsibility regarding his mother, even while realising her choices have damaged him and effectively led her down a self destructive path. This is a brutally honest book about families and the lack of them, the damage people do to others and to themselves, and how survival is sometimes not straightforward. It is a painfully honest book of coming of age, asking deep questions about life and ultimately death, opening the reader’s eyes to the truth of a boy’s life. Now and again you get a gem of a book that comes along and takes you by surprise. With the kind of story that is so poignant you can hear the sound of it breaking walls as it penetrates the consciousness of readers. This is the story of a teenage boy, who has spent his entire life being bandied about and abused by a mother who forgets him in a moments notice, as she seeks self-gratification in an attempt to forget her own misery. Charlie feels the need to protect his mother on some level, despite Now and again you get a gem of a book that comes along and takes you by surprise. With the kind of story that is so poignant you can hear the sound of it breaking walls as it penetrates the consciousness of readers. Charlie feels the need to protect his mother on some level, despite the neglect and abuse he suffers at her hands, words and actions. She is the only one, bar his grandparents, who appears to have any interest in him. The employees of Hawthorne are paid to inspect and dissect his life and emotional well-being like a bug under a microscope. Only the occasional person will feel and exhibit true compassion. In their defence, social workers or people working in the care system have to find a way to deal with the tragic reality of children in their care. The frustration of help or rescue being beyond their remit is often debilitating. Santorella delivers a work of literary perfection. There are no moments of superfluous details or scenes, which are often added to give a story an added layer of attraction. It’s just the life and emotional turbulence of a teenager laid bare, as he navigates the obstacles of neglect, abuse, coming-of-age and confusion of mutual attraction. It’s compelling literary fiction, written with an ease of memories flowing from the recesses of the mind to fingers eager to voice. A brief moment of time encapsulating the pain and fear that cements the pathway of an entire lifetime. Experiences that drive a vulnerable and troubled young person to pick a path of self-destruction or one with some semblance of peace and happiness. It truly is a sublime read. Dyed Souls is a coming of age story where the young hero is unfortunately too special for his own good. Charlie Lyle is an anomaly among his peers – he’s incredibly intelligent. Too intelligent. He’s out of place, different and weird. The rest of the kids at Hawthorne Residential Treatment Village are focused on sexual attraction, the inconsequential and the vulgar - normal teen stuff – but Charlie is focused on something more important, at least for him (he still can’t help but gawk at the girl Dyed Souls is a coming of age story where the young hero is unfortunately too special for his own good. Charlie Lyle is an anomaly among his peers – he’s incredibly intelligent. Too intelligent. He’s out of place, different and weird. The rest of the kids at Hawthorne Residential Treatment Village are focused on sexual attraction, the inconsequential and the vulgar - normal teen stuff – but Charlie is focused on something more important, at least for him (he still can’t help but gawk at the girls, though). What’s even more unsettling is that the boys and girls that live with Charlie at Hawthorne are all there for their own tragic reasons, and Charlie is no exception. No matter how special Charlie is, he is still a victim to the things he cannot control. In this novel, the author aims to integrate the complexity of classical humanities into the life of a troubled boy, and I am one to say that he is successful overall, and in an especially interesting way. It is Charlie’s one positive source of family structure, his grandfather, whom introduces critical thinking into his life. And, like any good coming of age story, the young hero must apply his newly acquired resource(s) to overcome the obstacles – usually the other kids and staff members who have no idea who Nietzsche is, let alone his ideas. At times, the author’s voice is bogged down by the voices of other writers, and the story lost its pacing. At other times, dialogue scenes would remain static, with two characters repeating themselves, ultimately losing the focus of the conversation. "Dyed Souls" by Gary Santorella is a captivating novel. The author has given us a story, that although fiction, manages to break our hearts and think about how harsh life can actually be. Charlie, the thirteen year old focus of this story, allows us into his thoughts. The difficult existence that he has been forced to live is saddening and hard for a reader to swallow. As a father, I wanted nothing more than to reach into the pages and just hug the boy. From a druggie mother, to a reform schoo "Dyed Souls" by Gary Santorella is a captivating novel. The author has given us a story, that although fiction, manages to break our hearts and think about how harsh life can actually be. Charlie, the thirteen year old focus of this story, allows us into his thoughts. The difficult existence that he has been forced to live is saddening and hard for a reader to swallow. As a father, I wanted nothing more than to reach into the pages and just hug the boy. From a druggie mother, to a reform school, Charlie's life is certainly not one that most of us could identify with. Maybe that's why, despite the dark scenario, I could not put this book down. It truly did lock me in. Although few, if any of us, would ever find ourselves, or our family members, in the tough particulars of Charlie's life, I believe that we find some of the boy's struggle in each of us. The bitterness of losing contact with his grandparents, the disappearance of his mother and the rejection by Margo, a love interest, are emotions we all may have dealt with at some time. Charlie also faces what many consider to be the ultimate question about life. He questions the existence of God. How many of us have wondered how a loving God could allow so much evil, especially in the life of a child. A coming-of-age story that will tug at your heartstrings! In 1981, thirteen-year-old Charlie Lyle has a hard-knock life- his mother is addicted to both drugs and cigarettes, he stuck at a reform halfway house for troubled teens without any friends, and his grandparents aren't allowed to see him. Reading Darwin, Socrates, and Plato is the only solace Charlie has to relieve the tedium at Hawthorne Residential Treatment Village, until Margo, The only person there who isn’t cruel, falls in love with A coming-of-age story that will tug at your heartstrings! I love when you go into a book without really knowing what you’re getting into and it delieveres an incredible story! That’s what happened with Dyed Souls. I read the Blurb, but the cover made me interested. I wasn’t sure if this would be my style of novel, but it was! I relate to Charlie so well. He lacks self-confidence which often leaves him the odd one out. He is trying to find himself and fit in. I loved him, he was such a well written character. I just wanted to get inside the book and tell I love when you go into a book without really knowing what you’re getting into and it delieveres an incredible story! That’s what happened with Dyed Souls. I read the Blurb, but the cover made me interested. I wasn’t sure if this would be my style of novel, but it was! I relate to Charlie so well. He lacks self-confidence which often leaves him the odd one out. He is trying to find himself and fit in. I loved him, he was such a well written character. I just wanted to get inside the book and tell him he had a friend in me. Gary Santorella is very talented in his character building and I’m throughouly impressed. I highly recommend checking out Dyed Souls. I think you will be as pleasantly surprised as I am. Fantastic story with fantastic characters. I’m looking forward to reading more by Gary Santorella. “Dyed Souls” by Gary Santorella was not an easy book to read, because it takes us into a dark but real world most of us know very little about. 13-year-old Charlie has been taken from his drug-addicted mother and is now doing time at Hawthorne Residential Treatment Village, a reform school where they administer high-dosage injections of thorazine to keep the teens under control. Charlie is a bookworm, and spends as much time as possible with his nose in a book to escape his reality. We are privy “Dyed Souls” by Gary Santorella was not an easy book to read, because it takes us into a dark but real world most of us know very little about. 13-year-old Charlie has been taken from his drug-addicted mother and is now doing time at Hawthorne Residential Treatment Village, a reform school where they administer high-dosage injections of thorazine to keep the teens under control. Charlie is a bookworm, and spends as much time as possible with his nose in a book to escape his reality. We are privy to his thoughts as he mulls over the meaning of life, considers Darwin’s philosophies, and questions the existence of God. The only normal adult relationship Charlie has ever experienced is with his grandparents. But for some unknown reason, Charlie has been separated from them, and they’re not allowed to communicate with him. In addition, his mother has pulled her disappearing act again, and he is unable to leave the school for home visits. The other teens at the treatment village are self-centered and cruel, having never developed the attributes of empathy, sympathy, or kindness. So Charlie keeps his distance from them as much as possible. The only person at the school he can even remotely call a confidante is Margo, a girl with whom he falls in love, but who alternately befriends, berates, and betrays him. This is a hard read, but completely absorbing. It is a brilliant book that it is brutal in its honesty about the world. Charlie lives in a residential centre due to the fact that his drug addicted mother can’t or won’t cope with him. Written in the first person, Charlie describes his life there, living with the other residents, who have their own demons. His love for his grandparents and the effect that his grandfather has had upon his life. Charlie is well read thanks to his father and has a book This is a hard read, but completely absorbing. It is a brilliant book that it is brutal in its honesty about the world. 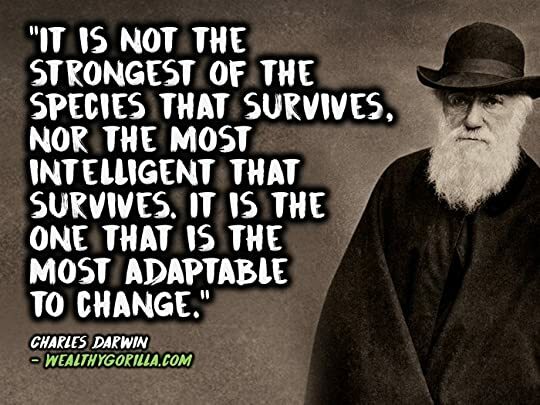 Charlie is well read thanks to his father and has a book by Darwin, throughout he uses Darwin’s work to try and explain the life he is living and to use his philosophies to survive. Dyed Souls is an excellent read that pulls no punches, and is definitely one of those books that stays with you. This very thought-provoking story is not easy to read, due to the story itself. It is heart wrenching and saddening in places. “Dyed Souls” is certainly dark and difficult in spots. It’s one of those books that is both emotional and entrapping. You won’t want to put the book down, even though reading it is ‘hard’, if you understand what I mean. The quality of the writing is very good. I was impressed with Mr. Santorella’s grasp of the depth of the events, especially since they were coming from his imagination, and, hopefully, not from any real experiences. I always love a novel that is so well done that you wonder if it is a novel or a true story. This one will leave you guessing that, as it did me. This is truly a well-crafted, interesting story, and one you will easily become emotionally invested in. I am happy that I purchased the book and recommend it to anyone who loves serious and slightly dark fiction. Dyed Souls by Gary Santorella has received a Chill with a Book Readers' Award. "It shows you a different view of life and causes you to look more kindly at people who don’t follow your own way of doing things, of what you think is right. I recommend this book." "Being an avid reader it will take a long time to find a book that is up to the standard of Dyed Souls." This is a wonderfully crafted story of a young man named Charlie. He had to go to a halfway house for troubled youth called, Hawthorne. Charlie is a brilliant young man. He has read many of the world’s great books. He is not treated well by his mom, but he is very close to his grandfather. His grandfather tells him all kinds of ideas and facts, while sitting by the fire. At Hawthorne, Charlie is kind of a loner. He would rather feed the horses or read a book than interact with the other student This is a wonderfully crafted story of a young man named Charlie. He had to go to a halfway house for troubled youth called, Hawthorne. At Hawthorne, Charlie is kind of a loner. He would rather feed the horses or read a book than interact with the other students. There are many incidents at Hawthorne, but at one point, Charlie beats up another kid. This book explores many modern ideas. The question of whether or not there is a God. And, if there is a God, why does he let all of these bad things happen to people? Charles is a big fan of Darwin, and his grandfather showed him that he believes that we are all just animals fighting for existence. These existential questions haunt Charlie until he begins a relationship with Margo. This is a coming of age story which is wonderfully written. It is a real page turner, and I recommend it to any one looking for an interesting read. Five stars for this book! Thanks! Twists and turns abound in Gary Santorella's book Dyed Souls. Yes, it is a coming of age story and yes it is indeed "gritty." It's packed with heartache and triumph along with all the other parts and pieces of life you learn along the way. I thought this book would be a quick read, and I suppose someone who's more disciplined with their reading time would still have made it through the text quickly, but I could not. Dyed Souls pulled at my heartstrings and stole my attention for a few days longer than anticipated. And I would say the extra time spent was enjoyable, and it was, but most of the starkly honest content is painful to read. Charlie, the main character, views life through a filter of deep ponder. He's a well-read teenager who readily exposes his vulnerability to the reader, no matter the content. Charlie learns how to interact with love, friendship, betrayal, and trust. He pushes at life and it constantly pushes back. The well-written storyline leaves nothing to the imagination and entrances with its easily provided details. Although the list of characters may seem short, they are all entirely engaging. You'll find yourself rooting for Charlie as he maneuvers through relationships of friendship, lust, and family ties and never stops questioning the "why" behind each interaction. You may also find yourself constantly torn between savoring every morsel of information and skimming over the painful portions. I was left with the distinct feeling that all of these events were inspired by reality and stories that needed to be shared with the world. I don’t know why but for some reason this narrative reminds me of many sci-fi stories I have read, yet it has no inkling of science fiction. I suppose it is the characters in this and such stories have similar arcs. But at its core it is a coming of age story. I will be up front with you, this is going to be a difficult read, but not to any poor writing. It is very well written, well told and well paced, if not some very minor errors in just a few places. The difficulty however, comes from the c I don’t know why but for some reason this narrative reminds me of many sci-fi stories I have read, yet it has no inkling of science fiction. I suppose it is the characters in this and such stories have similar arcs. But at its core it is a coming of age story. I will be up front with you, this is going to be a difficult read, but not to any poor writing. It is very well written, well told and well paced, if not some very minor errors in just a few places. The difficulty however, comes from the content. You will have your emotions both; up down, anger, mystery if that can even be called an emotion but you will see what I mean when you read this, but in saying that it is still in important read if not saddening at times. Kind of in the vein of “Catcher in the Rye” but with more heart to be honest. In following with the Catcher in the Rye comparison, I can say there is a coming of age story with in, that is very reminiscent of and episode of Ghost in the Shell: S.A.C. 2nd GIG, S01 E11 · Portraitz. Which does have a connection to Catcher in the Rye, but this story certainly lacks the cybernetics of that world, but what it may lack in science fiction. It has in character study even more so. And there is a good big of a character study via some social darwinism, as well as straight evolution logic. Charlie is a good boy who struggles to remain so after the bad things that have happened to him. He hasn’t had the easiest life, and sadly, his mom is at the head of his torment. The one woman who is supposed to love him more than anything in the world. This was a very hard book to read, in spite of the masterful writing but because as a mother it’s hard for me to read such things, yet Charlie persevered even after all the heartbreak, loss and disappointment he endures throughout the novel. It’s Charlie is a good boy who struggles to remain so after the bad things that have happened to him. He hasn’t had the easiest life, and sadly, his mom is at the head of his torment. The one woman who is supposed to love him more than anything in the world. It’s quite shocking how the story delved into some topics that you wouldn’t expect and in such an effortless way. Charlie is a bright boy, and as such he questions everything, even if there is a God, which since he has suffered so much, it’s understandable for a young boy to wonder. This was a tough one. Good story but difficult to read about the hardships kids go through simply because of the poor choices made by their parents. Not only Charlie, whose drug addicted mother ripped him from the stability of his grandparents' home, but also the also kids at the residential facility where he now finds himself. His struggles are many, both physically and emotionally. Hard to get through but worth it. Heartbreaking. This book is emotional and deep and not for the faint of heart. Although it's a turn from my normal light-hearted novels, I was pulled into the gloomy and often dark world of Charlie and I couldn't escape from its magnetism of brokenness and resilience. I think I may have connected with the book on such a relatable level because the setting was so familiar to me. At one time I worked at a treatment facility just like the one in the book, with kids just like those in the book, with Heartbreaking. This book is emotional and deep and not for the faint of heart. Although it's a turn from my normal light-hearted novels, I was pulled into the gloomy and often dark world of Charlie and I couldn't escape from its magnetism of brokenness and resilience. I think I may have connected with the book on such a relatable level because the setting was so familiar to me. At one time I worked at a treatment facility just like the one in the book, with kids just like those in the book, with protocol and structure just like that in the book. It was like taking a step back in time. Charlie could have been a number of kids that I worked with back then. Right from the beginning, it is very apparent that this child has had a difficult life. His mother has placed him on the outskirts of her life, only to be picked up when she wants something to play with. And just when you think that Charlie's life is already crummy enough, it gets 100 times worse. The characters were all very well-written. They were realistic and each person made an impact in the story. The author was able to blend every personality together to weave a very tragic story. The only flaw for me was the prolonged "interruptions" about Darwinism theory that Charlie either related to his life or had flashbacks of. I get that it was a large part of his personality and correlated with how Charlie viewed his current life situation, but it became very lengthy at times and I found myself skipping pages to get back to the "action" of the story. Overall, this was a very engaging, well-written book with characters who all conveyed tangible tragedy and despair. I give it a rating of 4.5/5 with a slight detraction for the constant swing back to science and evolution, only because I was so invested in the forward progress of the book and that hit the pause button on it for me. The author did a great job in introducing us to a world that I never would have thought existed. The emotions that I felt while reading this book were so intense that I felt like I knew all of the main characters personally. Creating all of these complex characters, even if they were not the main ones, still let the reader explore why those characters were so important to Charlie’s life and his story. I would recommend this book to anyone who likes a good read. However, I would just like to point out that they might go through a box of tissues or two. Or Catcher in the Cuckoo's Nest. For the teen it has a galling coming-of-age, redemption quest. For the adult it has that, as well as a literary look at a singular fictional life. Poor Charlie! Pulled from his loving grandparents, living in a home for troubled teens and a Mother…. well, I have a few choice names for her !! This story has me happy, sad, smiling, sad, a couple of tears and at moments curing a character or two. It just goes to show that not everyone’s life is perfect, in fact some have the very crappy end of the stick and that things can be put on for show….. you never really know what goes on behind closed doors. I highly recommend Dyed Souls, in What a book! This review has been hidden because it contains spoilers. To view it, click here. I'm afraid this one just didn't grab me... I was having to make myself puck it up. The story itself was interesting enough,a whole lot going on. Despite me saying it didn't grab me, I hung on to the end to see exactly what was going on with grandparents. Was pleasantly surprised it wasn't quite as I expected. Smart and compelling, a tough, gritty and important read. 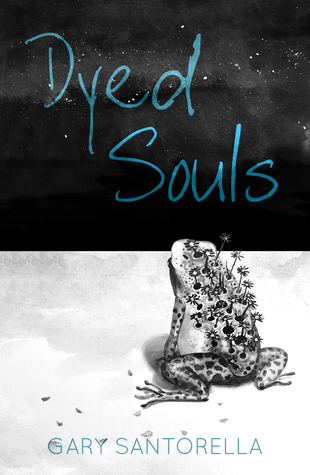 Described by John Lloyd of The Bookbag as "Catcher in the Cuckoo's Nest," Dyed Souls is a gritty coming-of-age literary novel, set in a residential treatment center in 1980’s California. Charlie Lyle loves science, natural history, and the world of the mind, and it is his refuge and salvation as he copes with his drug-addicted mother and a world of circumstances well-beyond his grasp. More a work of philosophy than psychology, “For the tee Smart and compelling, a tough, gritty and important read. Dyed Souls is set in California during the 1980s, at a residential treatment centre for troubled young people. In the acknowledgment at the front of the book, the author says that he hopes that he has done justice to the hundreds of kids he’s worked with over the years. I think he has done this and more with Dyed Souls, which centres on an extremely intelligent, but vulnerable young teenager, called Charles Lyle. We start Charles’ story in a worrying and volatile way, in a car with his ominously threatening young mother, on their way to somewhere, at this point, known only as the ‘Cottage’. The chapter titles throughout are metaphors for the content of that part of the story, and I really loved this device. The first chapter is entitled ‘Great White’ and relates to Charles’ relationship with his mum. Charles finds himself dumped back at Hawthorne Residential Treatment Village, earlier than expected, as a result of some event, unknown to the reader, which occurred while he was on a weekend visit home. I felt so angry with Charles’ mother, and the emotional abuse she seemed to layer upon her son; this thoughtful and intelligent, but broken boy. The treatment centre is full of children who have without doubt suffered at the hands of their significant adults, sexually, emotionally, or from being in violent or neglectful homes. The home is not run deliberately to exacerbate these children’s problems, but the disciplinary and counselling protocols, do not, in the main, serve to address the basic issue facing these children, which is to be able to trust in adults, when their own parents have failed them so badly. Only two or three of the staff are good enough to earn very basic trust. The childlike instinct to protect their parents is also a major barrier to their recovery, and this is particularly applicable to Charles. The author uses Charles’ first-person perspective to tell this story, and so for me, there was going to be the question, under the circumstances, of whether this account would be reliable. The writing is accomplished and flowed very well. The characters are vividly drawn; the over-sexualised, but resilient Margo, Walter, with his unique verbalisations, Paula, Shorty, Javier, and Charles’ grandfather. It is a gritty and disturbing story, made softer by Charles’ usually gentle voice. Charles spends most of his time reading, when he is not sneaking about, and his account is embellished with his interpretations of Charles Darwin’s Descent of Man, while he searches it for explanations of his own circumstances. Darwin’s descriptions of how sympathetic kindness amongst tribe members led to reciprocal good feeling and became habit forming, and natural selection would favour those communities with the highest level of sympathy, encouraging a greater number of offspring. Charles reasons this through in relation to his mother. Dyed Souls deals with the complexity of child and adolescent mental health services in western society, and encourages us to sympathise greatly with those who have to leave treatment centres like Hawthorne at 18 years old, when their support network on the outside is non-existent, and their coping mechanisms may be still too deeply affected by the events of their pasts. It is a coming of age story, a discussion about whether it is possible for children with harmful relationships with their parents to reason through the instinct to protect and be able to approach adulthood with greater perspective. The end of the penultimate chapter seems almost inevitable, given the events leading up to it, and the final chapter wraps up in a bittersweet way. I really enjoyed Dyed Souls. It had the examination of the experience of an individual which makes it fascinating in a literary and philosophical sense, but also is a great YA fiction too. Be aware; Sexual abuse (implied), emotional abuse, incident of animal cruelty, occasional use of medication to control behaviour, use of multiple swear words. I wasn’t entirely sure what to expect with this book, as the blurb doesn’t give too much away, but something about it caught my attention, so I thought I would give it a try. In all honesty, it took me a couple of attempts to get into it, but once I did I was completely drawn in. I fell hard for all the troubled kids living at Hawthorne, and I felt deeply invested in each of their stories. I could have happily followed any one of them to see what happened, and would actually love to know how eac I wasn’t entirely sure what to expect with this book, as the blurb doesn’t give too much away, but something about it caught my attention, so I thought I would give it a try. In all honesty, it took me a couple of attempts to get into it, but once I did I was completely drawn in. I fell hard for all the troubled kids living at Hawthorne, and I felt deeply invested in each of their stories. I could have happily followed any one of them to see what happened, and would actually love to know how each of them turned out. But this was not their story, it was Charlie’s. As Charlie begins his journey into adulthood, we see him encounter the best and worst people that society has to offer. This is not a book that is always comfortably reading, and there are parts that I found quite harrowing, but they were filled with such raw emotion that at no time did I feel that anything had been added simply to get a reaction from the reader. Everything that happens does so for a reason that shapes Charlie and the way he lives his life. Although this is very much a coming of age tale, there is so much more to it than that. The depth given to each of the characters, even those encountered only briefly, breathes a whole life into the writing, and results in an almost philosophical view on life.